What do you do when you see an injured animal on the street? Do you dismiss it as someone else's problem or do you try to find out how you can help? If you've ever wondered how much of a difference one person can make, this story is for you. Anya Divekar is a Grade 10 student at Mercedez Benz International School is a girl who feels passionately about animals and decided to do something to help. She visited the ResQ Centre and collaborated with us to make an impact in the lives of hundreds hurt and injured stray animals which are rescued here. 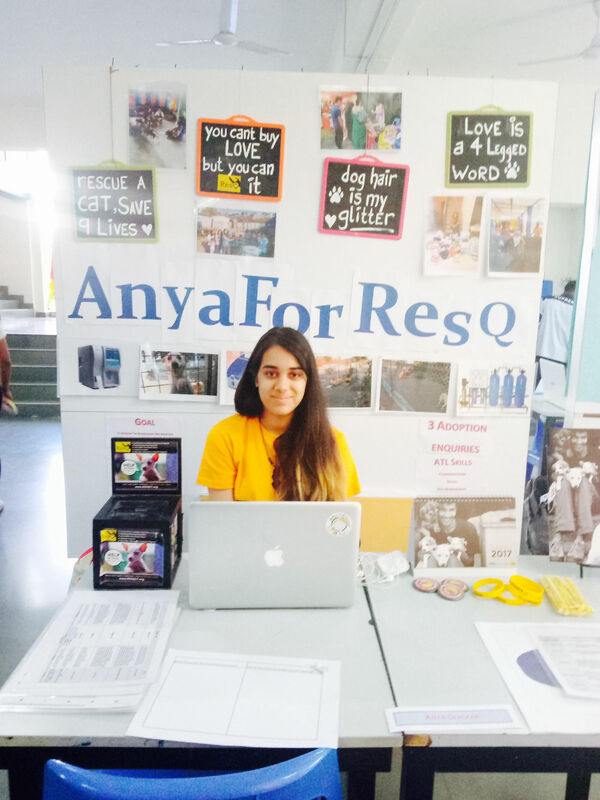 Helping to spread awareness, implement campaign initiatives and volunteering at the ResQ Centre, Anya has made a huge contribution to the organisation in more than one way. Encouraging people to do their bit along with her, she organised a collection drive at Mercedez Benz International School and gathered newspapers, blankets and old clothes for us to use for the animals recovering at the ResQ Centre. Anya, with the help of her family and friends, managed to raise funds to meet our requirements and enable us to treat the animals here with the best possible medical care. Install a water treatment plant at the ResQ Centre, to ensure clean water all year round. Rebuild the paediatric ward and paralysis pen to take better care of puppies and animals with limited mobility. Purchase Blood Analyser Machines to run instant blood tests for animals at the centre, without having to depend on a laboratory to decide further course of treatment. If one 16 year old girl can make up her mind and achieve so much, making such a huge difference to so many lives, then imagine what all of us can do together. Anya has made a huge contribution to the lives of so many animals that come to ResQ each month, we are incredibly grateful for her support.